The challenges for lubricants in the marine market increase rapidly due to the price pressure the sector faces. Engine manufacturers and lubrication oil manufacturers are taking huge steps to improve the efficiency. To keep up it is crucial to keep your equipment like diesel engines, gearboxes and hydraulic systems in top condition not just to maintain efficient operations but also to ensure health and safety at sea. While the on-site online or offline oil analysis does play its role in condition based maintenence it is essential to have a full analysis from time to time. 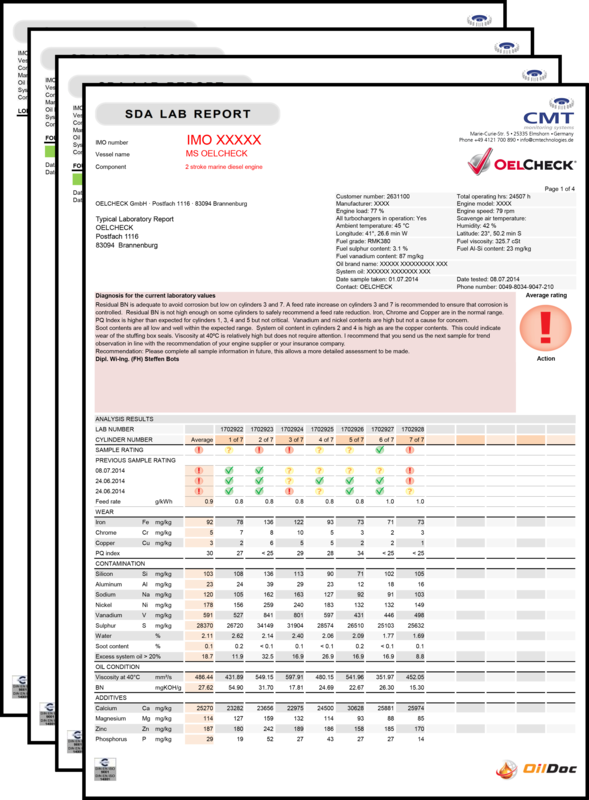 Always looking to improve its services CMTs has started a strategic partnership with one of the most renown laboratories in the industry, of course certified and accredited, with over 20 years experience in marine oil laboratory analysis / testing. Be assured you always get an indepependent opinion and advice from CMT. In particular, we work very hard to minimise your costs related to oil consumption and feed rate without affecting your marine engine (see our Cylinder Drain Oil Management pages for more information on onboard solutions). Turnaround is extremely fast with all oil / fuel samples being analyzed and diagnosed by the end of the next business day.